· To change the face of child sexual abuse in this country. · To create awareness within all communities about child sexual abuse and ways to combat this epidemic. 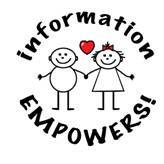 · To inform and educate children and adults through brochures, workshops and workbooks. · To open a dialogue and communication within communities and families about child sexual abuse and prevention thereof. · To form a network of like-minded individuals and organisations who want to share information and methods of best practice, in order to help more children and their families. · To make sure that every child has free access to Identity Profiling Kits for children, called the SMART KIDS’ KIT ©.